The award was delivered by Elena Juanola, director of the Catalan Institute for Occupational Safety and Health, who chaired the act with Joan Alcalà, deputy mayor of Town Planning, Activities, Transportation and Public Way of Girona and Jordi Fabrellas, dean of the College of Graduated Engineers and Industrial Technical Engineers of Girona. As a novelty of this edition, the School has designed a seal accrediting the Occupational Risk Prevention Award that Dinox can use in its communications. 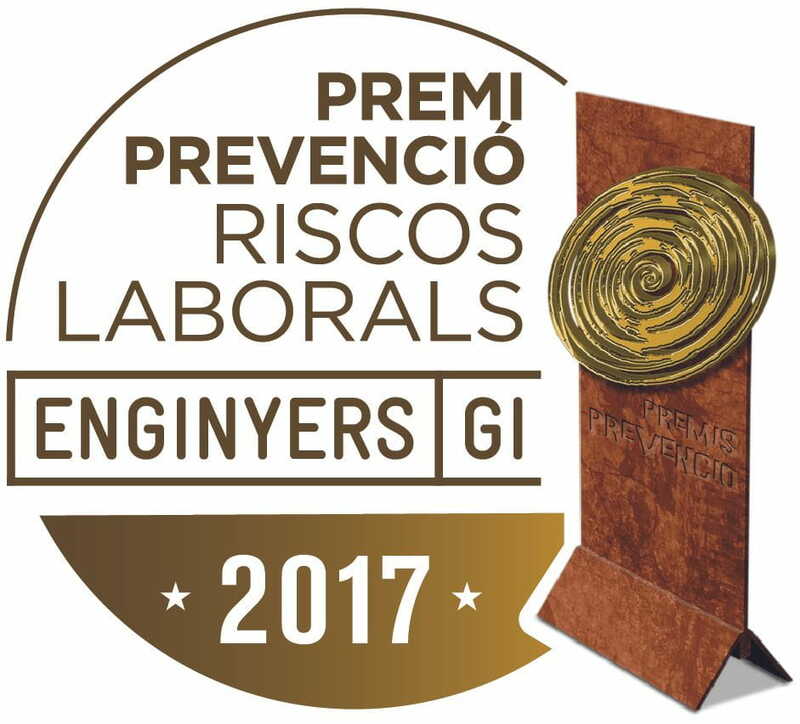 The objective of this seal is that the preventive work to avoid accidents and labor incidents gain visibility among the business network.